Just as today’s church deals with a myriad of issues, Christians in Paul’s time had issues of their own. Doctrinal matters are now dividing lines between thousands of denominations—Paul sensed that danger of division thousands of years ago as he wrote his letters to Timothy and Titus, two young church leaders. He writes about false teachers, the role of women in the church, ethics, repentance, and more. 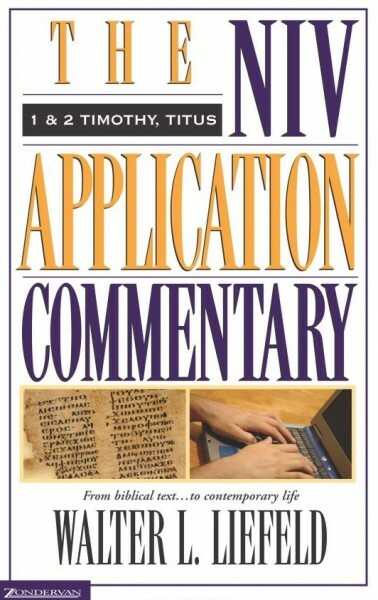 This volume of the NIV Application Commentary shows how these pastoral letters are just as suitable for our generation as they were for Paul’s. Walter L. Liefield will guide us through what these letters meant for their first readers without sacrificing insights on practical, everyday-life application.